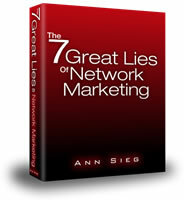 Unfortunately, the majority of what's still being taught by network marketing companies today is a good 20 years behind the times. In this free report I expose 7 of the biggest myths about building a business in this industry that are costing you a small fortune. Simply enter your first name and primary email address below to get your free copy.